The Citizen Potawatomi Nation Women Infant, Children program provides supplemental nutritious foods, health and nutrition education, referrals, and nutrition and breastfeeding counseling for eligible pregnant, breastfeeding, and postpartum women as well as infants and children under the age of five years. The program is designed to positively impact prenatal nutrition, infant birth weight, iron deficiency anemia and early childhood nutrition and cognitive development. WIC complies with all applicable Federal and state agency mandates. 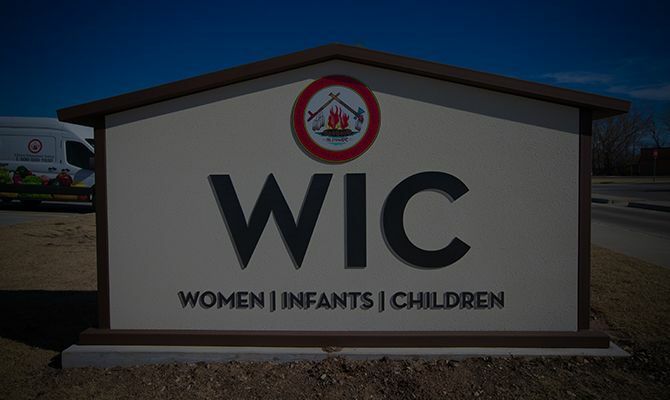 CPN WIC serves approximately 1,200 participants at its three permanent agency / clinic sites and three mobile satellite sites in central Oklahoma. The Special Supplemental Nutrition Program for Women, Infants and Children (WIC) is funded by the United States Department of Agriculture (USDA). Find WIC Store Locations to purchase WIC approved foods with your WIC or EBT Card, in and around Oklahoma City, OK.